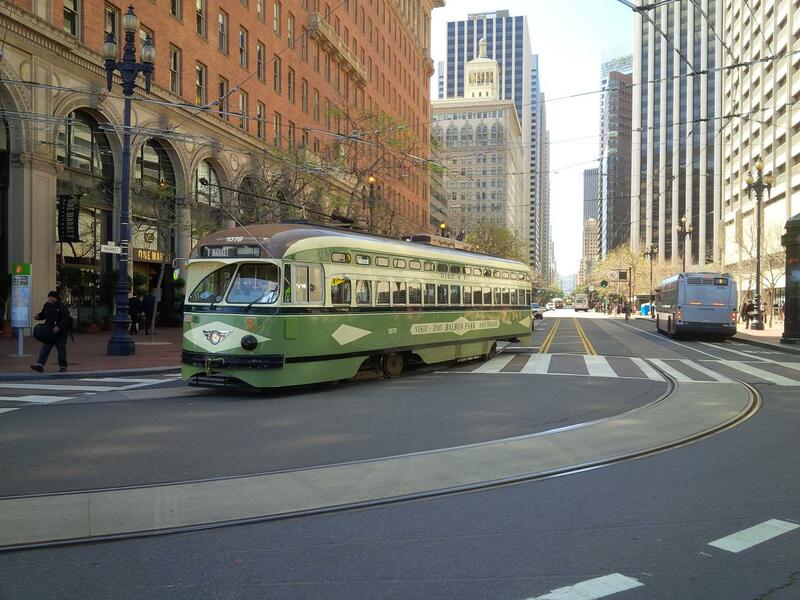 The Oilholic is delighted to be back in lovely San Francisco, California, some 5350 miles west of London town. And what a 'crude' contrast it has been between two visits - when yours truly was last here little less than two years ago, the oil price was in three figures and our American cousins were (again!) bemoaning oil prices at the pump, not all that unaware about even higher prices we pay in Europe. Not so anymore – for we’re back to under $3 per gallon (that’s 3.785 litres to Europeans). Back in January, CNBC even reported some pumps selling at rock bottom prices of as little as 46 cents per gallon in eastern US; though its doubtful you’ll find that price anywhere in California. Nonetheless, the Bay Area’s drivers are smiling a lot more and driving a lot more, though not necessarily honking a lot less in downtown San Francisco. By and large, you might say its happy days all around; that’s unless you run into an oil and gas industry contact. Most traders here are pretty prepared for first annual decline in global oil production since 2009, underpinned by lower US oil production this year. Ratings agency Moody’s predicts a peak-to-trough decline in US production of at least 1.3 million barrels per day (bpd) that is about to unfold. On a related note, Genscape expects North American inventories to remain at historically high levels for 2016, and production to fall by -581,000 bpd in 2016, and -317,000 bpd in 2017, as surging blended Canadian production is expected to grow at +84,000 bpd year-over-year in 2016. Most reckon the biggest US shale declines will occur in the Bakken followed by the Eagle Ford, with Permian showing some resilience. Genscape adds that heavy upgrader turnarounds in Spring 2016 will impact near-term US imports from Canada. All things being even, and despite doubts about China’s take-up of black gold, most Bay Area contacts agree with the Oilholic that we are likely to end 2016 somewhere in the region of $50 per barrel or just under. As for wider domino effects, job losses within the industry are matter of public record, as are final investment decision delays, capital and operating expenditure cuts that the Oilholic has been written about on more than one occasion in recent times. Here in the Bay Area, it seems technology firms conjuring up back office to E&P software solutions for the oil and gas business are also feeling the pinch. Chris Wimmer, Vice President and Senior Credit Officer at Moody's, also reckons the effects of persistently low crude oil prices and slowing demand in the commodities sectors are rippling through industrial end markets, weakening growth expectations for the North American manufacturing sector. Industry conditions are unfavourable for almost half of the 15 manufacturing segments that Moody's rates, with companies exposed to the energy and natural resource sectors at the greatest risk for weakening credit metrics. As a result, Moody's has lowered its expectations for median industry earnings growth to a decline of 2%-4% in 2016, from its previous forecast for flat to 1% growth this year. "This prolonged period of low oil prices initially affected companies in the oil & gas and mining sectors, but is spreading to peripheral end markets," Wimmer said. "Slackening demand and cancelled or deferred orders in the commodities sectors will constrain growth for a growing number of end markets as the fallout from commodities weakness and lackluster economic growth expands." Everyone from Caterpillar to Dover Corp has already warned of lower profits owing to weak equipment sales to customers in the agriculture, mining, and oil and gas end markets. The likelihood of deteriorating performance will continue to increase until the supply and demand of crude oil balance and macroeconomic weakness subsides, Wimmer concluded. Finally, as the Oilholic prepares to head home, not a single US analyst one has interacted with seems surprised by a Bloomberg report out today confirming the inevitable – that China will surpass the US as the top crude oil importer this year. As domestic shale production sees the US import less, China’s oil imports are seen rising from an average of 6.7 million bpd in 2015 to 7.5 million bpd this year. And just before one takes your leave, Brent might well be sliding below $40 again but all the talk here of a $20 per barrel oil price seems to have subsided. Well it’s the end of circling the planet over an amazing 20 days! Next stop London Heathrow and back to the grind. 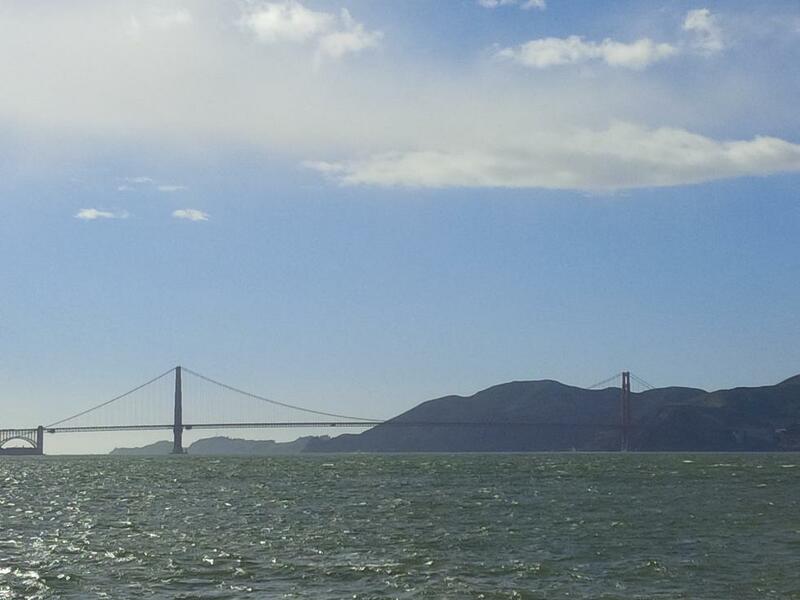 That's all from San Francisco folks. Keep reading, keep it ‘crude’! © Gaurav Sharma 2016. 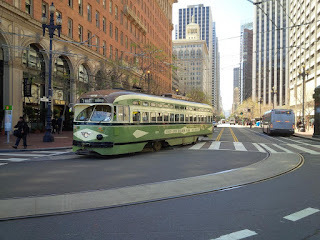 Photo I: Vintage Tram in Downtown San Francisco. 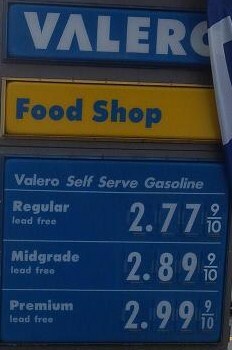 Photo II: Gas prices in Fremont. 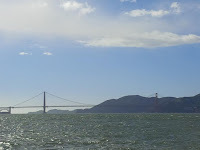 Photo III: Golden Gate Bridge, San Francisco, California, USA © Gaurav Sharma, March 2016. 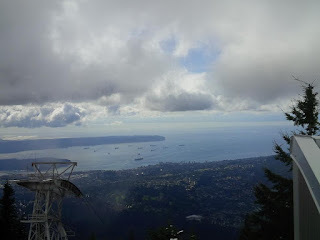 The Oilholic has crossed the international dateline and has gone from being 6000 miles east of London in Tokyo, Japan to being 4700 miles west in "Beautiful British Columbia, Canada" as vehicle registration plates in Vancouver remind you with customary aplomb. 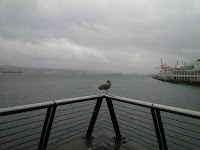 It’s a bit cloudy and tad soggy here, a marked contrast to sunny Tokyo. In between meeting family, friends and contacts, yours truly has also penned two Forbes columns – one on the direction of the South Korean economy and a second one on the oil price bottoming out. This blogger would say it is all well and good that both global benchmarks – Brent and WTI – are lurking at or just below the $40 per barrel level, and some, including the International Energy Agency, are opining that prices may well have bottomed out. While accepting those sentiments is not difficult, China’s anticipated flat demand could spell trouble over the medium term, as one explained in the latter Forbes post. Shipping traffic out of this Canadian province where yours truly is at the moment, typifies the oil and gas world’s dependency on emerging markets in general and Far Eastern economies in particular, led by – who else – but China. Wherever you admire BC’s amazing shoreline and Vancouver’s beautiful waterfronts – atop Grouse Mountain (above left), Concord Pacific Place in Downtown Vancouver (right), City Harbour inlet (below left), Port Moody or on the other side of the Burrard Inlet from English Bay beach (one's favourite spot) – you cannot miss umpteen oil and gas tankers either waiting to dock or waiting to leave with their crude cargo from the area. Over the last 12 years on each visit to the area, the Oilholic has only seen the volume of traffic rise exponentially. Unsurprisingly, it causes much consternation among the very strong regional environmentalist groups. 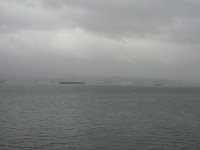 Their worst fears were heightened again by the spillage of bunker fuel in April 2015 off West Vancouver’s Sandy Cove. Prior to that, there have been other incidents, though the most serious one dates back to July 2007 when an excavator working on a sewage line pierced a oil pipeline releasing more than 250,000 litres of crude oil. 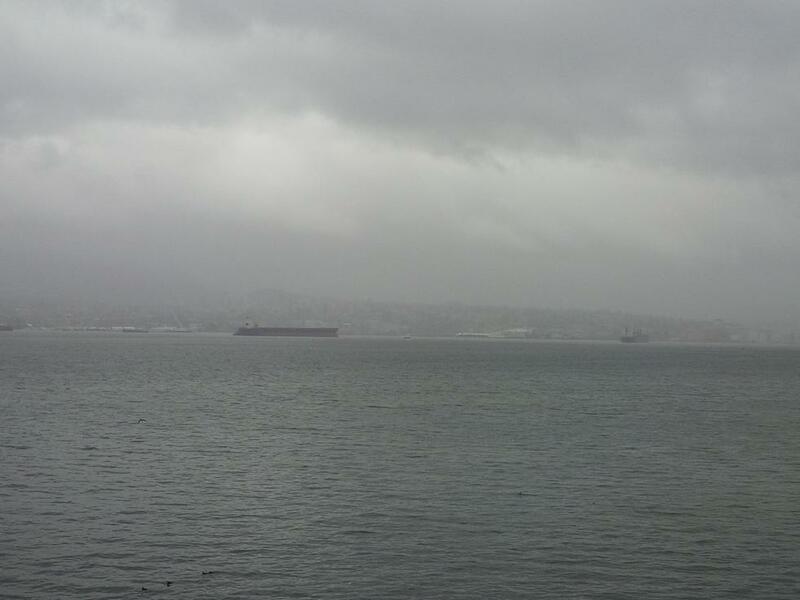 Nearly 70,000 litres flowed into the Burrard Inlet, with the resulting clear-up costing the province $20 million. Yet loading and outflow of oil (and gas) from British Columbia, a province which has very little of its own and serves mainly as a transit point, to the Far East is only going to increase not decrease. In the last election, Canada’s new carbon footprint conscious Prime Minister Justin Trudeau’s Liberals bagged 17 of 42 seats in the province; their best result since 1968. Some, to quote a retired civil servant and old contact, can be described as “tree huggers”, which is not necessarily a bad thing and there are plenty of trees to hug in BC. Tree huggers or not, Trudeau promptly appointed three of his MPs from BC to his cabinet. But with the Canadian economy going through a lacklustre patch, oil markets grappling with oversupply and China expected to buy less, the stakes are going to get higher even if the Western Canadian Select – which trades at a discount (currently above US$14) to the West Texas Intermediate – goes lower. Quite frankly, there is very little the carbon conscious PM can do here. Furthermore, if anecdotal evidence is to be believed, BC Premier Christy Clark and her provincial Liberals were actually banking on an oil and gas boom in time for a 2017 regional election, eyeing both jobs and revenue. Instead they, along with much of the oil and gas world, now have a complicated and prolonged bust on their hands, with the general direction of Canadian oil dispatches more than likely to be Eastwards, even if the US remains Canada’s largest trading partner for oil and much else. Just ask neighbouring Alberta; the politics (and economics) of it all is likely to get much more complicated! However, given lower demand from both Japan and China, it is quite likely that you might spot marginally fewer tankers in British Columbian waters. The Oilholic does stress on the word ‘marginally’ though, and that won't satisfy the tree huggers. That’s all for the moment from Vancouver folks! Next stop San Francisco, California, USA via short stopover in Phoenix, Arizona. Keep reading, keep it ‘crude’! © Gaurav Sharma 2016. Photo I: View of Vancouver from Grouse Mountain, North Vancouver, Photo II: Concord Pacific Place, Downtown Vancouver, Photo III: City Harbour inlet, Vancouver, British Columbia, Canada © Gaurav Sharma, March 2016. Just happens to be a coincidence that the Oilholic is in Tokyo to witness the conclusion of the Bank of Japan’s two-day monetary policy meeting. 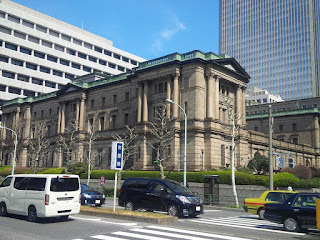 There were no major surprises, as Governor Haruhiko Kuroda and his board left the country’s benchmark interest rate unchanged at -0.1% in line with market expectations. The BoJ remains well below its 2% inflation target, headline economic growth is stagnant, exports are flat and well the Oilholic can personally testify that the yen, a preferred carry trade currency, is soaring making life for overseas visitors all that pricier! The pound sterling was lurking around JPY150 level, while the dollar fell below JPY113.50 following the BoJ’s decision which greeted the market on Tuesday. Moderate, quite simply might not be enough for most Japanese people, hence the weighting in favour of stimulus is rising. However, not everyone is unhappy about the central bank’s policy stance – gold bullion traders are among those with beaming smiles. According to Tanaka Kikinzoku Kogyo (KK) store in Tokyo’s Ginza district, cited by Bloomberg, the price of gold bars rose to JPY5027 (£31.14, $44.30) per gram on March 11; that’s the highest since July last year. “Many customers are wagering that it is better to turn their savings to gold as a safe asset rather than deposit money at banks that offer low interest rates,” a spokesperson for the store told the newswire. The said interest was going strong even at prices exceeding and staying steady above JPY5000 per gram as the Oilholic prepared to leave Tokyo on Friday with cherry blossoms (or “sakura”) having bloomed a few weeks early on the sidewalks and parks not far from the City's historic bullion district and destination for upmarket shopping. That’s all from Japan folks as the far eastern adventure comes to an end, and a North American one is about to begin. 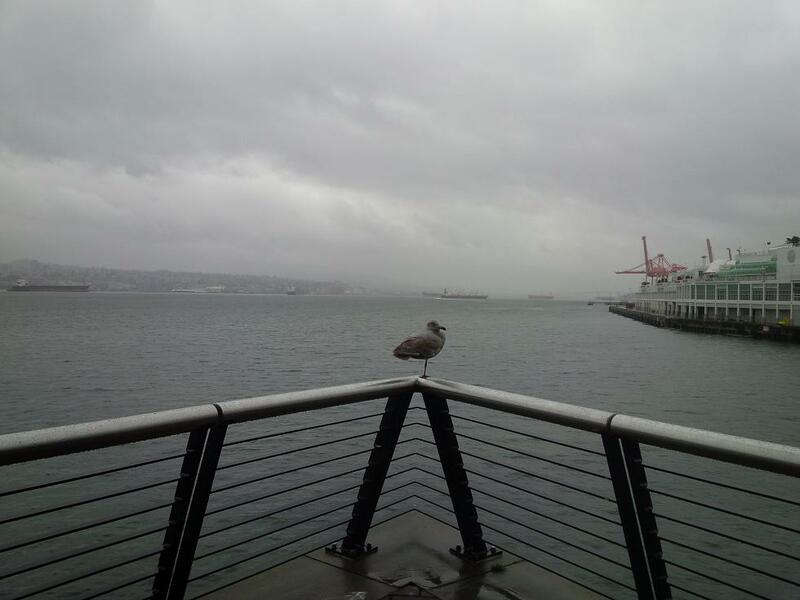 Next stop Vancouver, British Columbia, Canada! Keep reading, keep it ‘crude’! © Gaurav Sharma 2016. Photo: Bank of Japan, Tokyo © Gaurav Sharma, March 2016. The Oilholic is back in Tokyo, some 6,000 miles east of London, and is finding Japan Inc. rather content with a crude oil buyers’ market. In fact, if anything, even the relatively higher oil price, has fallen to a third of the level this blogger noted when he was last here (in September 2014). One outstanding issue – of re-establishing ties with the Iranian market – remains ‘complicated’ to quote analysts and legal professionals in the Japanese capital. Up until 2006, the point of the first wave of stringent UN sanctions on Iran against its nuclear programme, Tokyo enjoyed good ties with Tehran, symbolised first among other things by its stake in the Islamic republic’s Azadegan oilfield. However, that was then, and by 2010 matters progressively worsened as the US and European Union moved to impose yet more stringent sanctions on Iran following an escalation of Tehran’s nuclear ambitions, and the West’s wariness of it. Subsequently, Japan duly shunned Iran in wake of international sanctions, even if it wasn’t easy for the largest liquefied natural gas importer and third-largest net importer of crude oil and oil products in the world to do so. Following Iran’s return to the international fold and a lifting of international sanctions, unsurprisingly Japan’s government was among the first to follow China in resuming ties with the country’s oil and gas sector, and the wider economy. In February, a framework was also put in place under which Tehran would guarantee $10 billion in investment projects financed by the coveted Japan Bank for International Cooperation (JBIC) and insured by Nippon Export and Investment finance. There’s one nagging problem though – the US is yet to fully lift its sanctions on Tehran and that makes Japanese banks, heavily intertwined with American financial system, wary of participating. Unless commercial banks participate and capital flow mechanisms are established, JBIC cannot finance a project. And in any case an international remittance system needs to work, and major commercial banks, not just Japanese ones, need to resume normal operation before things can get off the ground. Not much of that has happened. Experts at law firm Baker & McKenzie’s Tokyo office say the appetite for investment in Iran is definitely there, yet very few Japanese companies have actually signed deals on account of risk associated with falling foul of US sanctions. Of course, leading law firms are ever willing to conduct due diligence to protect their clients’ foray into Iran. Furthermore, Washington has lifted sanctions on non-US banks, but nothing is quite so straightforward. Partial US sanctions require anyone international banks deal with in Iran is not on the US Treasury’s “Specially Designated Nationals” (SDN) roster. The sanctions also cover any company that’s 50% or over 50% owned by an entity or person blocked by the US State Department, even if the company in question is not on the Treasury Department’s SDN roster. The only ‘crude’ saving grace is that a stagnant Japanese economy’s demand for oil is at its lowest since 1988, while glut troubled suppliers are queuing up twice over to sell their cargo at discounted prices. Given current oil and gas market permutations, the headache is as much Iran’s to contend with. That’s all from Tokyo for the moment folks. Keep reading, keep it ‘crude’! © Gaurav Sharma 2016. Photo: Tokyo Skyline from Sumida River ferry, Tokyo, Japan © Gaurav Sharma, March 2016. 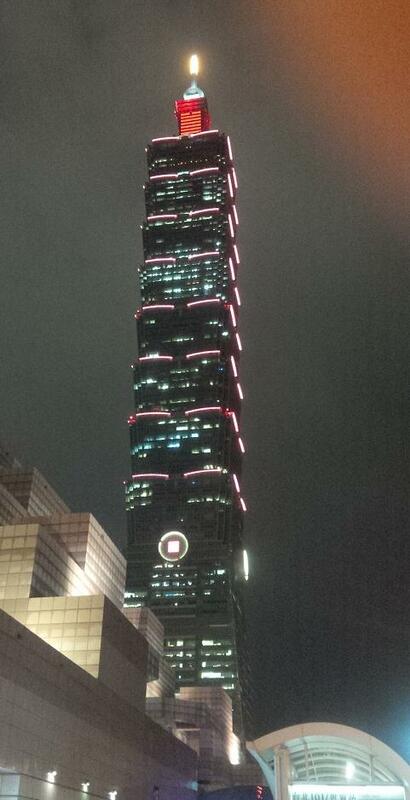 The Oilholic has ventured further eastwards, some 6080 miles from London, to Taipei – the vibrant capital of Taiwan. On a rain soaked evening, yours truly absorbed splendid views of the city's 101 Tower (once Asia’s tallest building before) and pondered over the island nation’s oil supply-demand dynamic. Perhaps unsurprisingly, according to government data, the country imports 98% of its domestic fuel requirements mostly from OPEC producers in the Gulf and Angola to the tune of 1 million barrels per day (bpd). It does have tiny proven oil reserves of around 2.3 million but nothing to write home about. Despite wider historical and geopolitical tension with Beijing, Taiwan’s CPC and China’s state-owned China National Offshore Oil Corporation (or CNOOC) are jointly exploring the Strait of Taiwan for oil and gas. Initial prospection bids in shallow waters turned out to be duds, but deepwater exploration is “encouraging” say insiders. It noted falling oil production stateside, in tandem with a decline in OPEC’s output by 90,000 bpd in February, albeit due to outages in Nigeria, Iraq and the United Arab Emirates, that knocked out a combined 350,000 bpd from the oil cartel's total output. “Iran's return to the market has been less dramatic than the Iranians said it would be; in February we believe that production increased by 220,000 bpd and provisionally, it appears that Iran's return will be gradual,” the IEA added. See now all that is well and good, but the Oilholic reckons that at some point crude in storage will need to come into play. That, coupled with lacklustre demand, is the market’s “known known” and how and to what extent it serves as a drag on the price remains to be seen. Fairly obvious and no biggie, methinks. That’s all from Taiwan folks. 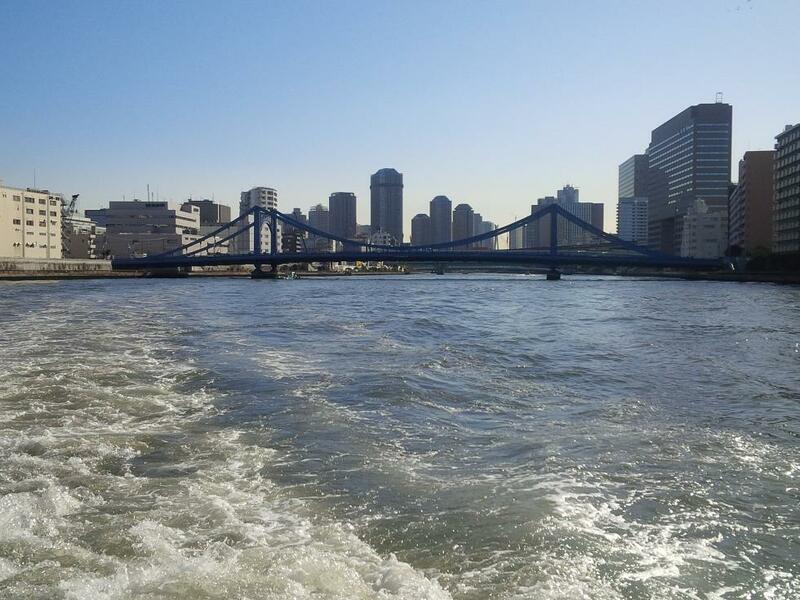 This blogger’s next stop is Tokyo. Keep reading, keep it ‘crude’! 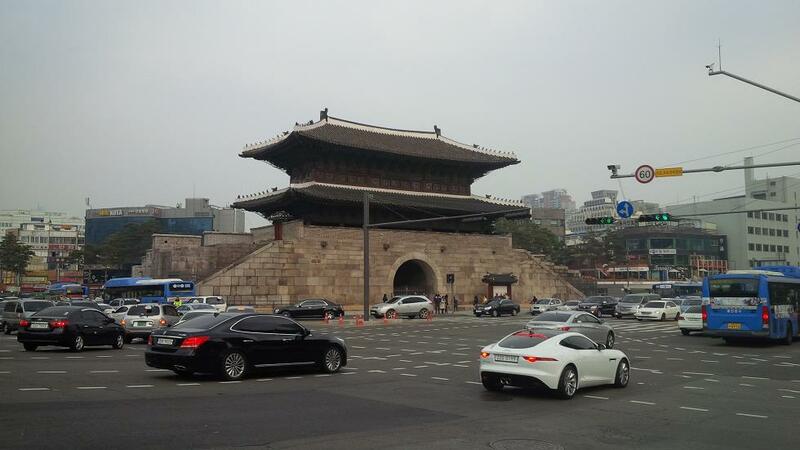 The Oilholic finds himself 5,506 miles east of London in Seoul, South Korea, on the first leg of a round the world trek, alongside a fact finding mission for an upcoming Forbes article. In tandem with this blogger’s arrival in South Korea, was that of the USS John C. Stennis, the US Navy’s nuclear-powered aircraft carrier as tensions in the Korean Peninsula run high. With neighbouring North Korea’s leader Kim Jong-Un (once again!) promising nuclear armageddon, Seoul and Washington are in the midst of their annual ongoing joint Key Resolve and Foal Eagle exercises to instil regional confidence. To be perfectly honest, South Koreans have seen it all before – their Northern neighbour’s shenanigans are hardly the stuff that is keeping the intelligentsia occupied or the subject of much chatter in cafés and bars dotted across the capital. The primary concern remains whether recent economic stimulus measures are cutting through or not. The economic health of South Korea also matters to oil and gas analysts like yours truly, as the country is among the biggest global importers of the crude stuff, relying on the importation of 97% its fuel needs having negligible domestic hydrocarbon resources. Crude oil consumption is currently around 2.5 million barrels per day, almost all of which is imported, making South Korea the fifth largest oil importer in the world. In wake of the MERS virus outbreak in South Korea last year and increasingly lacklustre consumer confidence, the government unveiled a $20 billion economic stimulus package in July 2015. Among the most eye-catching measures was the introduction of tax cuts on automobiles – the very domestically engineered sort yours truly saw whizzing across Seoul, and ones that happen to be household brands across the world. However, while the MERS virus might be a thing of the past, the country's economic malaise persists worrying the Bank of Korea and the government alike. Exports contracted 18.5% in January, while the economy grew 2.6% in 2015. It prompted the central bank to revise South Korea’s growth forecast for the current year down to 3.0% from 3.2%. Nonetheless, petrochemical and refining exports are proceeding at pace, given that three of the 10 largest refining facilities in world happen to be in South Korea. And crude oil imports are – so far – holding firm at current averages of 2.3 to 2.5 million bpd. However, one questions whether the said levels can indeed be maintained. That’s despite a further $5 billion in stimulus measures announced by the government in February, including the extension of automobile tax cuts. There’s definitely trouble at the South Korean mill! That’s all from Seoul folks as the Oilholic leaves you with a view of traffic zipping past the city’s Dongdaemun Gate. 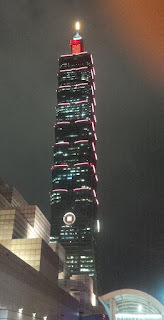 This blogger’s next stop is Taipei; more from there shortly. Keep reading, keep it ‘crude’! Aubrey McClendon (1959 – 2016): A flawed titan? On Saturday, March 5, a riverfront in USA’s Oklahoma City saw well wishers, former employees, friends and family of controversial energy sector entrepreneur Aubrey McClendon, gather to pay their respects, following his death in a car crash on March 2; a day after being indicted on bid-rigging charges following an antitrust investigation by the US Department of Justice. In keeping with his swashbuckling life, the end, when it came, was just as dramatic. While a police investigation into the crash is still ongoing, reports said the Chevy Tahoe McClendon was driving slammed straight into a cement wall, despite the driver having had multiple opportunities to avoid the collision. It was also revealed that he was not wearing his seat-belt. That was the final act of a glittering, albeit controversial oil and gas industry titan. As the shale bonanza took off stateside, McClendon was one of the poster boys of rising US natural gas production, taking Chesapeake Energy – a company he co-founded in 1989 at the young age of 29 – to the second spot on the country’s top gas producers’ roster by volume. But in 2013, he was ousted from Chesapeake following damaging revelations that he had personal stakes in wells owned by the company. An accompanying corporate governance crisis tarnished his reputation further. Yet, McClendon’s penchant for lavish spending never subsided. His investments in property, restaurants and businesses are littered across Oklahoma City. Famously, in 2008, he brought the National Basketball Association's Supersonics franchise to Oklahoma City from Seattle, renaming them Oklahoma City Thunder. 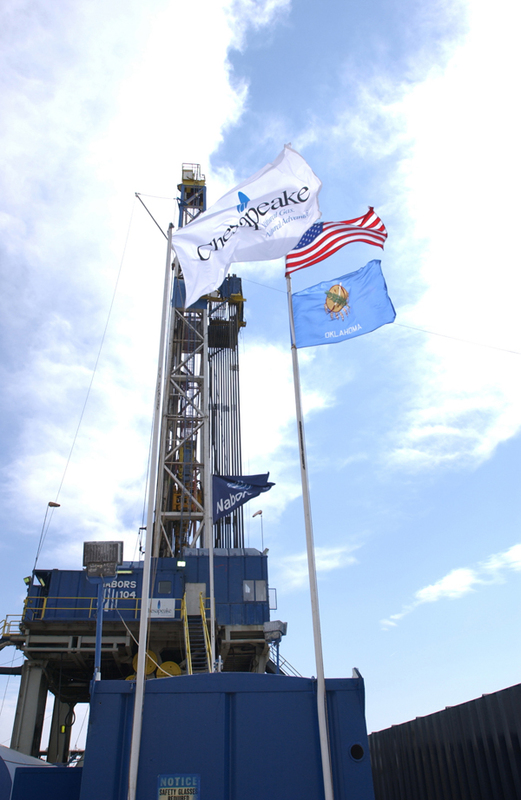 Following the Chesapeake debacle, McClendon marked a return to the industry by setting up a new company – American Energy Partners. Being the wildest of wildcatters, he made bets, not all of them sound, worth billions of dollars buying land with potential for oil and gas drilling. However, all was not well with the US Justice Department set to haul him to the courts. He was alleged to have put in place a scheme between two “large oil and gas companies” to not bid against each other for leases in northwest Oklahoma from December 2007 to March 2012, to keep the price of leasing drilling rights artificially low, the Department of Justice said a day before his sudden death. The American antitrust law – Sherman Act – which McClendon was accused of violating carries a maximum prison sentence of 10 years and a $1 million fine. None of this mattered to the hundreds who gathered on Saturday at Oklahoma City's Boathouse District to pay their respects to McClendon, with a formal public memorial service due on Monday at a local community church. For them, the state in general and the city in particular, McClendon was instrumental in reviving the regional economy. As for the US shale industry, his impact in the history books – the good, the bad, the ugly, the unproven and the controversial. However, in his untimely passing, it is McClendon’s ingenuity that ought to be remembered by most. © Gaurav Sharma 2016. Photo: A shale drilling site © Chesapeake Energy.